Beautiful landscapes in Edmonton come from Terra Nova. 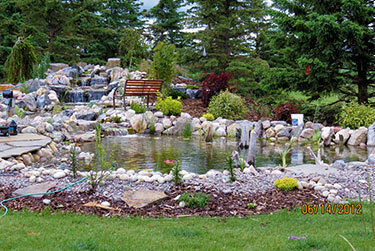 The most beautiful landscapes in Edmonton start with the best designers. Our team works with you to develop a vision for your yard that’s both striking and memorable. Our three-step process lets us discovers your yard’s potential, creates a solid plan for realizing it, and keeps you informed every step of the way. We make landscaping simple by taking care of everything in the process, from design to construction. 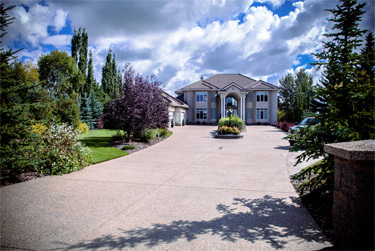 We’ll plan the project, acquire the permits, mobilize equipment and supplies, and take your project all the way through to completion for the most beautiful landscapes in Edmonton. 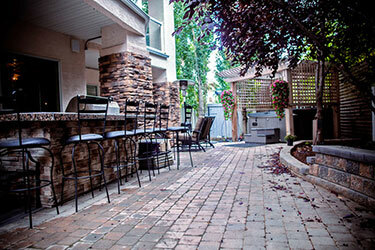 Terra Nova has been creating beautiful yards for residential and commercial properties for over 20 years. With our extensive experience and expertise, you can trust that your project will be completed to the highest standards, on time and on budget. We work closely with all of our customers to ensure they get exactly the yard and landscape they’re looking for. We consult with clients on every step of the phase, from the beginning of design until the very end, so that you are always fully informed. With 20 years of landscaping excellence, Terra Nova is proud to offer residential and commercial landscaping services to Edmonton, Kelowna and their surrounding communities. We’re passionate about landscaping, and bring that passion to every step of the landscaping process, from design to completion. We do everything from small projects to high-end landscapes in Edmonton, including retaining walls, planting, fire pits, patios, decks and more, and our staff are always ready to help every step of the way. We want to work with you to turn your vision for a beautiful backyard into a feasible plan perfect for your property. Let us help with your landscaping. Contact us today to schedule your free on-site consultation.